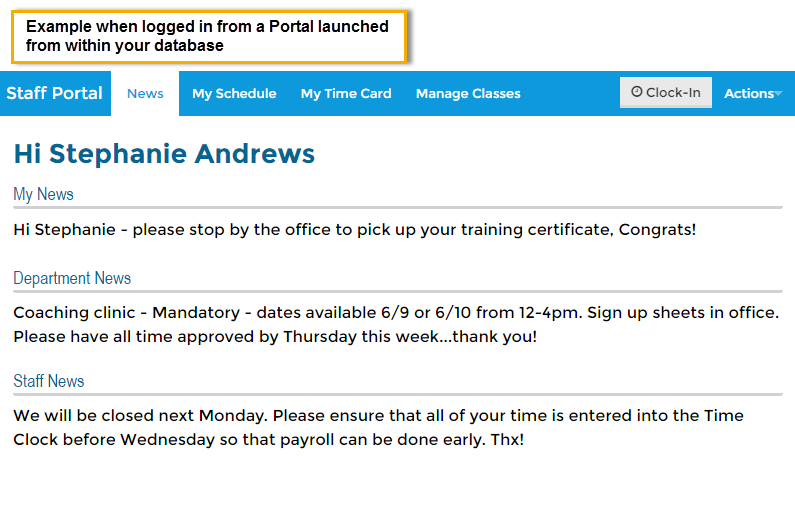 Any User ID with the Launch Staff Portal permission, in the Staff Portal category, can launch the portal when they are logged into your database (Tools > Manage Users & Permissions). Point to Staff Portal on the main menu. 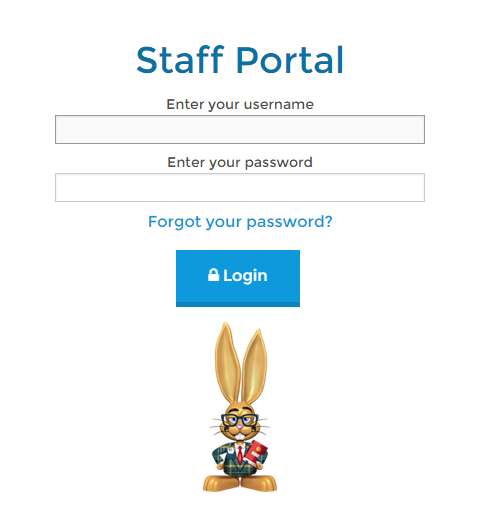 Your staff can now log into their Staff Portals. The Staff Portal can remain open indefinitely, however, when inactive for longer than the Staff Session Timeout Limit individual staff will be logged out of the portal.